We’ve finally got our little yacht to her home berth in Merihaka. 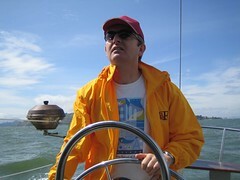 It was great to be out sailing, and she goes guite fast (nearly 7 knots without really trying). I’m in San Francisco for the JavaOne conference and some meetings next week, and this weekend I’m just being a tourist. Something I hadn’t planned on was going sailing – at Pier 39 I noticed that it was possible to go sailing for 90 minutes on the Lady J, and signed up straight away. 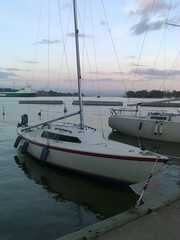 It was a lot of fun, and a good warm-up for the Finnish sailing season.